Do you want to write about parenting, recipes, lifestyle, DIY or something else? Narrow down to one niche and branch your topics around that. My niche is parenting but I branch off of that and write about postpartum fitness and beauty. Having one niche allows you to develop an audience who are interested in your blog as a whole. When someone visits your blog you want them to click around and check out various posts. Having posts that correlate within the same niche will keep your readers and followers interest. We all follow people on social media and read blogs on subjects that interest us. We don’t want to see or read posts that don’t pertain to our interest. By keeping narrowing your niche you are more likely to attract the right type of audience. This was the hardest part of starting a blog for me. I was worried I’d chose a domain name that wasn’t catchy or didn’t jive well with others. The end result here should be a domain that describes you or your blog well. I’m a Coast Guard Wife and a Mom who blogs about parenting, postpartum fitness and beauty – so the name “Anchored Mommy” combines two very important factors in my life. The options for a blog are endless. If you want to monetize your blog, self-hosted is the recommended route. When you are self-hosted, you own your blog. There are free blogging sites out there but you will not own your blog. Meaning they can shut you down at any time and you will not have the options you will with self-hosted. Self-Hosted means you are purchasing a server to host your site. I self-host a wordpress.org blog through Blue Host. I choose Blue Host because it was affordable, reliable and offered 24/7 Customer Service. Blue Host even offers web hosting starting at $3.95/month! After purchasing my domain I was able to go install WordPress.org to my site, directly from the Blue Host site. While the host is what “runs” your blog, WordPress will control what readers will see when they come to your website. Also, I have another fun tip! If you decide to self-host through Blue Host you can get money back (while writing this blog it’s currently $10) through Ebates. Don’t have an Ebates account? Click HERE to start saving money today! A theme is how you will design your website. I purchased a wordpress theme but they offer some free themes as well. In addition to wordpress, you can also check out themes available on Etsy. I actually had no idea Etsy sold website themes until I read about it on a facebook group. Crazy, right!? I did purchase my logo from a graphic designer on Etsy and had an amazing experience. You can’t have a successful blog without interesting content. 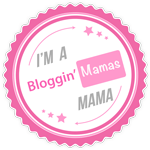 Start Blogging, start sharing and start growing!